Fast forward to present day, and Colin is Brighton's most eligible bachelor now that cousin Stephen has married. When Avery's father dies of a heart attack, she puts her life on hold and returns home to St. Simons Island, Georgia, to help Mama with the family restaurant. But Mama misses Avery's sister Susanna, who lives four thousand miles away in Brighton Kingdom-and is expecting her first child. So Mama insists she and Avery spend the Christmas season in Brighton. 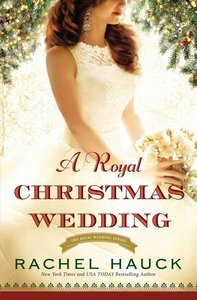 About "A Royal Christmas Wedding (#04 in The Royal Wedding Series)"
Customer Reviews For "A Royal Christmas Wedding (#04 in The Royal Wedding Series)"
This book was so sweet. I love a Christmas romance any time of the year but even more so when they're written as beautifully as this one. It was fun to read the story of Avery and Prince Colin, minor characters in the previous books, and see them caught up in a centuries-old tradition. And hey, who doesn't love a royal romance? Great story and one I'd recommend to anyone loving romance, royals and Christmas.